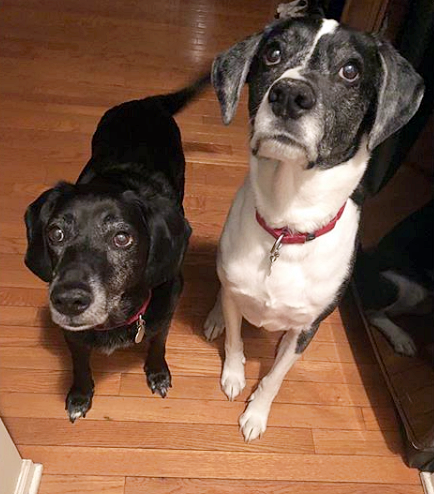 Cosmo the Lab mix and Sam the Pointer had lived normal dog lives with their humans in Illinois for 10 years when their owners got divorced. That’s when everything would change for them. Their dad moved in with his girlfriend, but she was allergic to dogs. 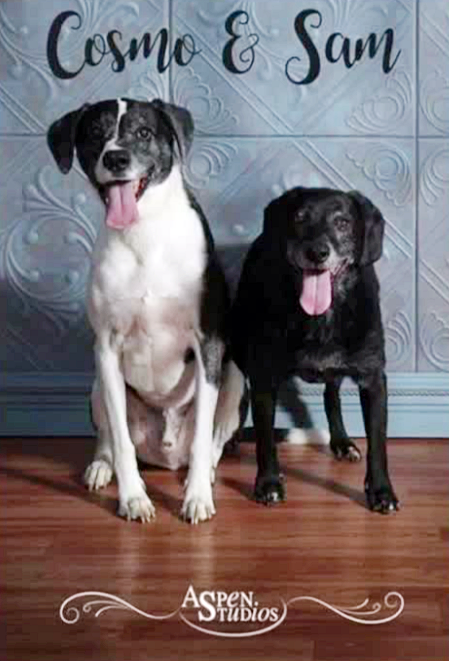 Instead of trying to rehome his dogs, the man took them to a vet to be euthanized. But the veterinarian refused to perform this “convenience euthanasia” as they dogs were happy and healthy. The dog best friends were taken to Begin Again Rescue Co. and then quickly transferred to Peoples Animal Welfare Society. 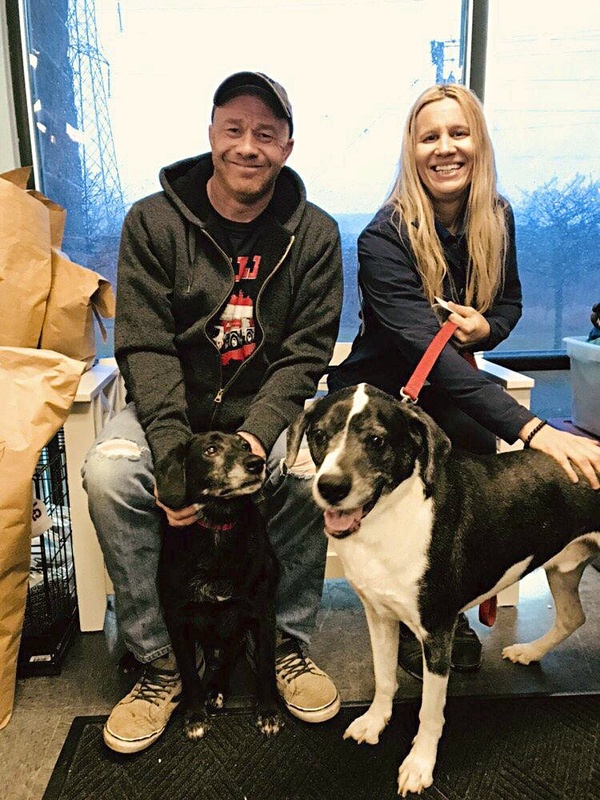 And it wasn’t long before a couple, Eric and Tiffany Dybas, heard about the dogs’ sad story and decided to give Cosmo and Sam a forever home!